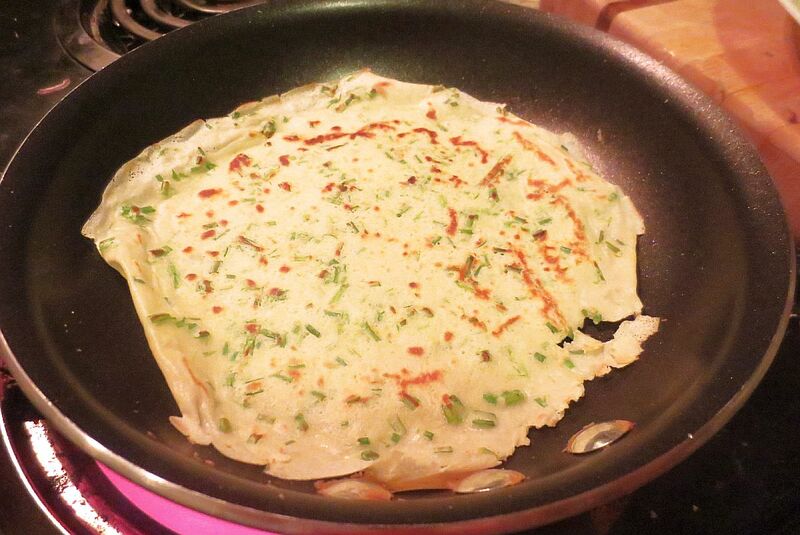 Home // Recipes // Don't Even Act Like I Don't Cook Wild Mushroom Crepes. I Got the Recipe Right Here. Who thinks, "Hmmm, what to have for dinner tomorrow?" 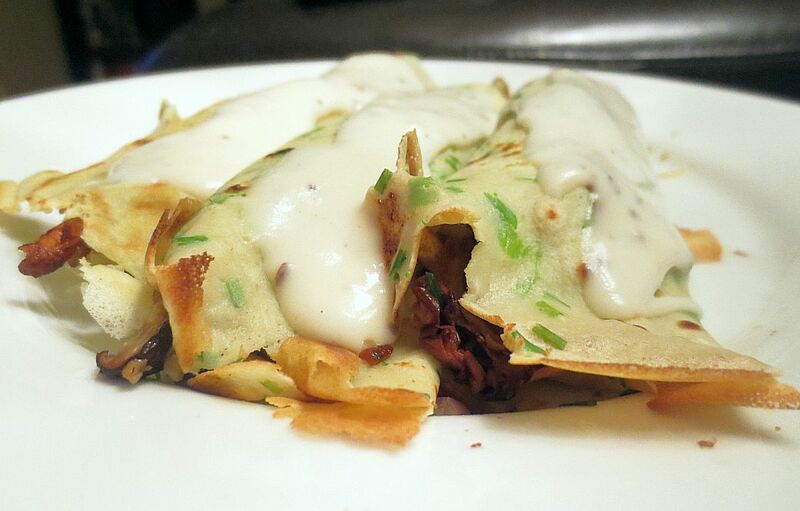 and randomly has an intense craving for wild mushroom crepes with Bechamel sauce? I feel like this can't be normal. Nevertheless, a few weeks back this inexplicable vision and deep gut feeling led me to cooking up this meal on a Wednesday night, and let me tell you, the feeling was right! Dice and combine Shallot with the chives and parsley. Set aside. 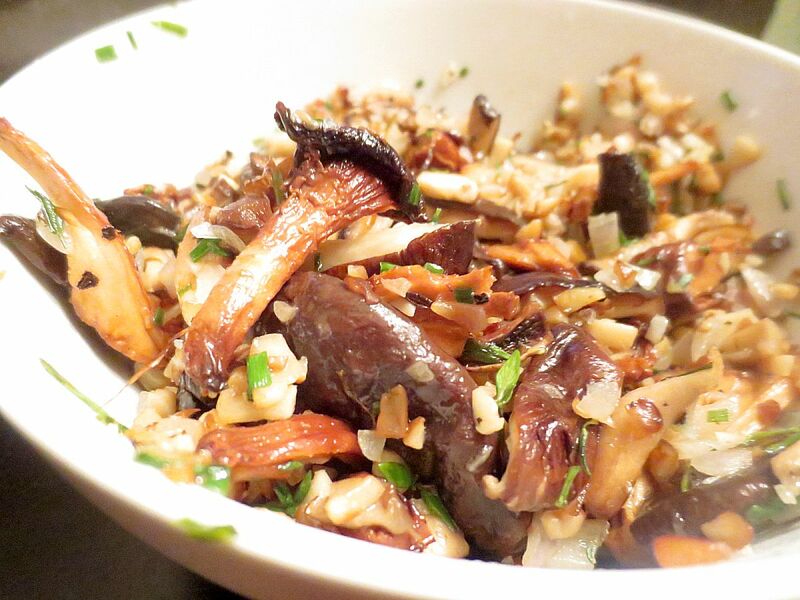 Clean and cut all types of mushrooms and combine in a mixing bowl. Melt 3-4 tbsp. butter in a large sautee pan. Add all mushrooms, and sautee until just brown. Add thyme, and push to 1 side of the pan. Melt 1 tbsp of butter in the other side of the pan and add the shallot/chive/parsley/garlic mix. 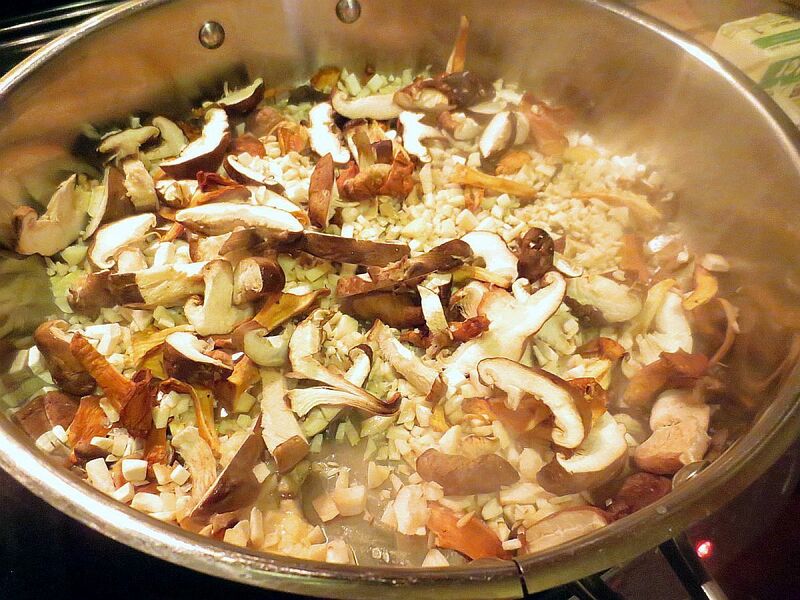 Once browned, stir into the mushroom mix . Once mixed, set aside to cool. When the mix is just warm, add 1/2 of the bechamel sauce and stir until thoroughly mixed. Melt the butter in a heavy-pot. Add salt and pepper to taste, lower the heat, and cook, stirring for 2 to 3 minutes more. Remove from the heat. To cool this sauce for later use, cover it with wax paper or pour a film of milk over it to prevent a skin from forming. In a blender, combine all of the ingredients (excepting the butter for coating the pan) and pulse for 10 seconds. Place the crepe batter in the refrigerator for 1 hour. This allows the bubbles to subside so the crepes will be less likely to tear during cooking. The batter will keep for up to 48 hours. Heat a small non-stick pan. Add butter to coat. Pour 1 ounce of batter into the center of the pan and swirl to spread evenly. Cook for 30 seconds and flip. Cook for another 10 seconds and remove to the cutting board. Lay them out flat so they can cool. Continue until all batter is gone. Take each crepe and spoon 1/4 cup of mushroom filling in a line to one side of the crepe. 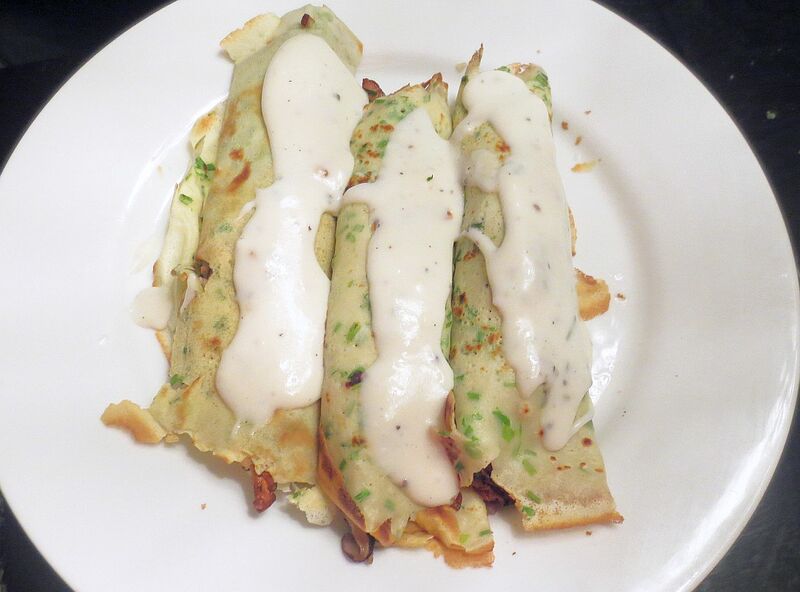 Roll crepe, add a small spoonful of bechamel sauce on top, and BOOM! You've got a go-to recipe for wild mushroom crepes. Enjoy! Those look deliscious. Maybe a Christmas appetizer? This is a great recipe. One of the French foods that is difficult to master is the crepe, and adding wild mushrooms to it is a risk that can go in different directions. From the looks of it, you got it down just right! It's going to be a great breakfast treat or wonderful light dinner after a long day. Thanks for sharing!